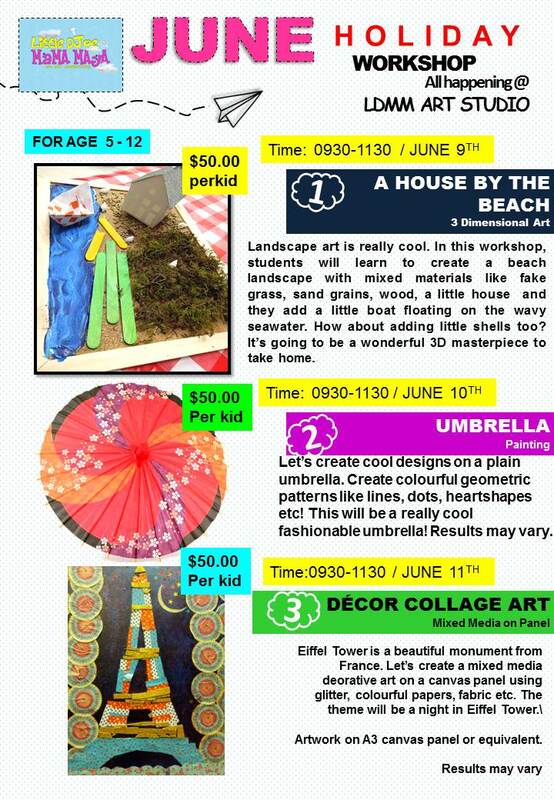 Would it be great to let your kids have fun creating art this coming june Holiday? Check out the poster above. 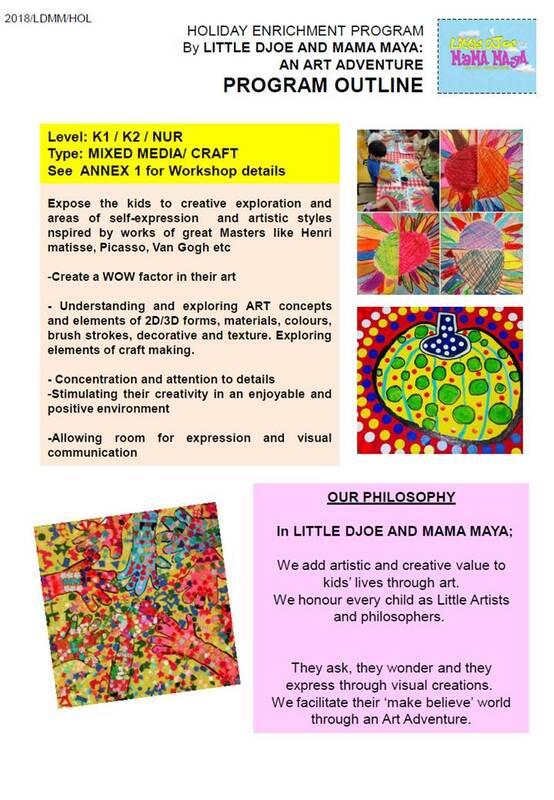 Come and also tell your friends about us! where they explore the beauty of Art. and over the Weekends (closed on Public Holidays). 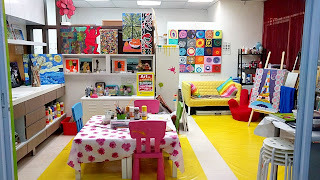 our student's lives through Art. Come over, and book a workshop or a class.